What is the Nuvasive Precept Spinal System? The Nuvasive Precept spinal system is an advanced system that consists of a number of different reduction screws, poly axial screws, rods, connectors and locking nuts that are utilized to hold the vertebral bones in a required position. When is the Nuvasive Precept Spinal System Used? The common indications for the use of the Nuvasive Precept spinal system are degenerative disc disease, severe spondylolisthesis, scoliosis and kyphosis, fracture of the vertebral bones, tumors of the vertebral bones and failed spinal fusion. It is sometimes utilized with the addition of a bone graft. 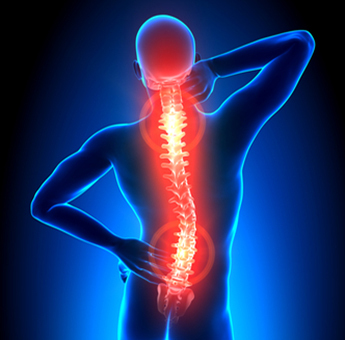 There is no specific procedure that is unique to the use of the Nuvasive Precept spinal system. As such, it forms a big part of different fixation techniques of the spine including posterior thoracolumbar fixation and extreme lateral interbody fusion. The use of the system is FDA approved. Let us take extreme lateral interbody fusion for example. In this procedure, the intervertebral discs are removed after making a small incision in the skin and the abnormality within the spine is corrected by inserting an implant developed by Nuvasive. In order to stabilize the spine even further, percutaneous pedicle screws are then inserted. These percutaneous article screws also form a part of the Nuvasive Precept spinal system. In essence, different parts of the Nuvasive Precept spinal system are utilized in various spinal surgeries. Case reports and research has indicated that the Nuvasive Precept spinal system is an effective and safe system utilized for patients undergoing spinal surgery.